Central California's leading supplier for appliance rentals since 1999. We strive to provide affordable and reliable appliances at low rates with fast, friendly and local service. Still searching for a laundromat??? If you are tired of the inconvenience and high cost of laundromats then call or email us to set up an appointment to get your very own washer, dryer or refrigerator delivered to your home. 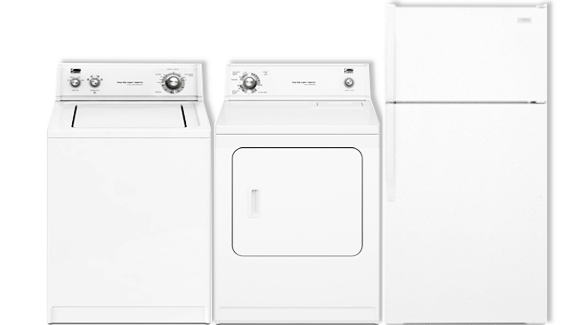 We offer washers, dryers, washer/dryer combo sets and refrigerators to apartment communities, residents, homeowners as well as temporary housing agencies. Fanatical service, unmatched quality and competitive prices.